gist is our minimalist upper ontology. It is designed to have the maximum coverage of typical business ontology concepts with the fewest number of primitives and the least amount of ambiguity. Our gist ontology is free (as in free speech and free beer--it is covered under the Creative Commons 3.0 attribution share-alike license). You can use as you see fit for any purpose, just give us attribution. gist by Semantic Arts, Inc. is licensed under creative commons, which only requires that you attribute the source (http://semanticarts.com/gist) when you use it. 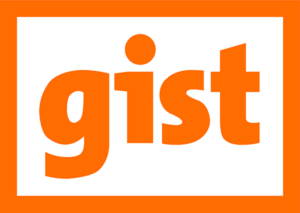 Any concepts used from gist are to remain in the gist namespace. (i.e., gist:Obligation). Gist is extremely modular. There are several modules that can be used collectively or in subsets if you don't need all the concepts in gist. Gist has a small number of top level concepts from which everything else derives. And these concepts are not philosophical abstractions like endurants and perdurants, or qualia, they are normal terms whose definitions are quite close to what you already believe. Gist has extensive and fine grained disjointness at the highest level. It turns out that in order for an upper ontology to help you avoid making logical errors in your derived enterprise or application ontology, it needs to make use of disjointness. Without disjointness, the reasoner does not find logic errors. If you'd like to use the files locally, download a zipped archive which contains the modules of gist as well as documentation for the ontology. You can also import these files directly into your ontology editor of choice (Protegé, Topbraid, etc.). The import will take care of the dependencies. 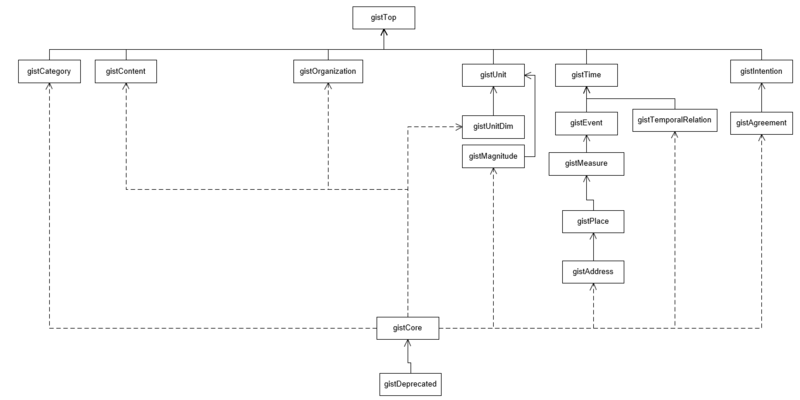 Note importing gistCore will recursively import all other modules. We have an active governance and best practices community around gist, called the gist Council. We have a teleconference the first Thursday of every month. Practitioners and users of gist come together to discuss how to use gist and make suggestions on its evolution. If you would like to be involved, send us a note with a description of your use of or interest in gist. We are trying to keep this relatively small and active.